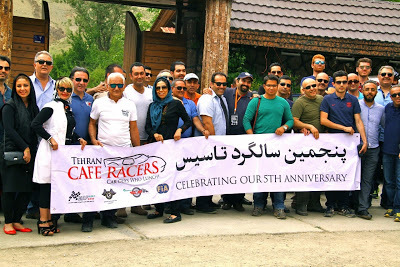 Sarasota Café Racers satellite in Tehran celebrates Fifth anniversary of car guy camaraderie and bonding with U.S. friends. 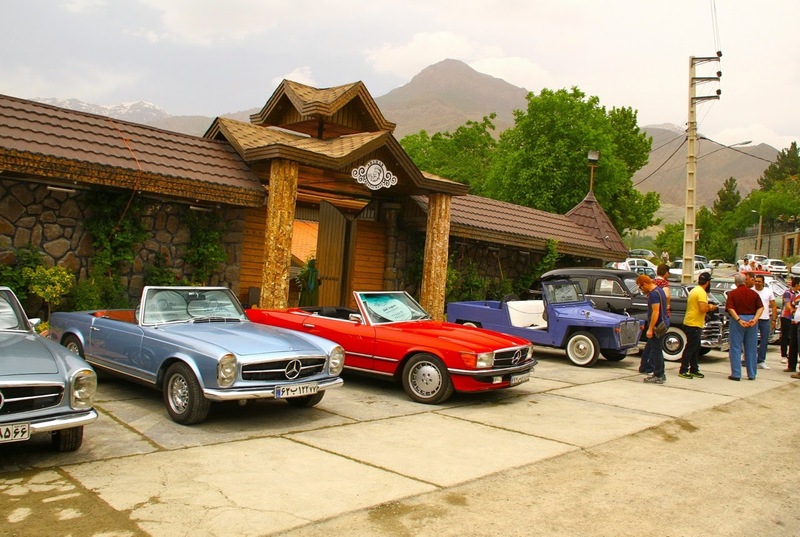 The Sarasota and Tehran Café Racers have accomplished more to improve and normalize U.S.-Iran relations than have diplomats over the past decade! 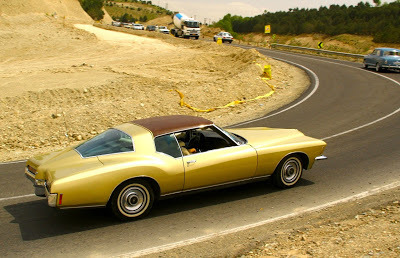 We’re talking about relations between enthusiasts who share a common passion for cars and not influenced by political agendas. 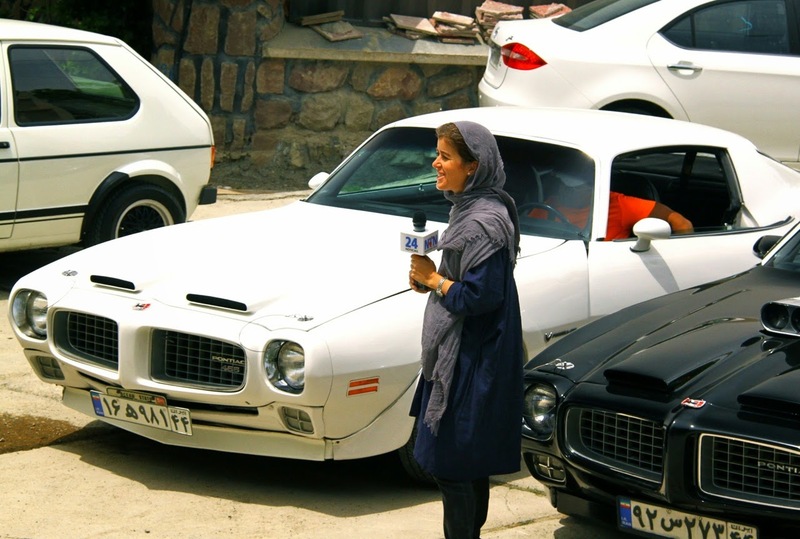 This effort has been spearheaded by American musclecar collector Ramin Salehkhou, a Tehran-based lawyer who is involved in everything automotive – rallies, clubs, the Shah’s collection and FIA representation – that goes on in Iran. A pristine ’48 Chevy leads the way, below. 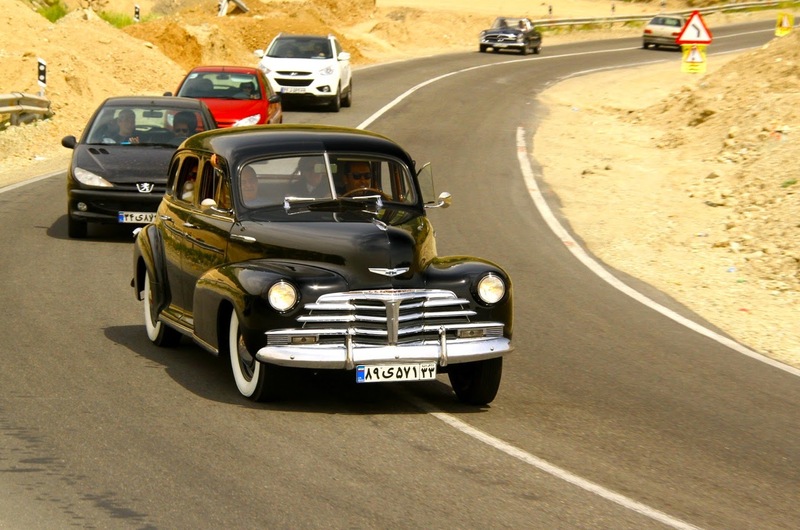 Working with Martyn Schorr and the Sarasota (FL) Café Racers car guy lunch group, Ramin founded the Tehran Café Racers five years ago. 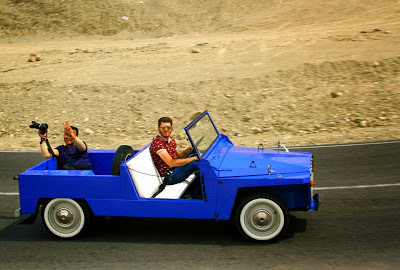 Active satellites in Isfahan and Shiraz, Iran followed that group. To celebrate the Fifth anniversary, 40 members of the Tehran Café Racers participated in a road rally that was covered by a Latin American TV network, above. 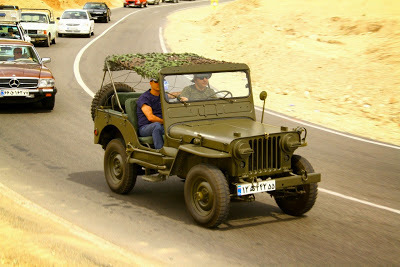 A restored U.S. Army Jeep took over the lead at one point, below. 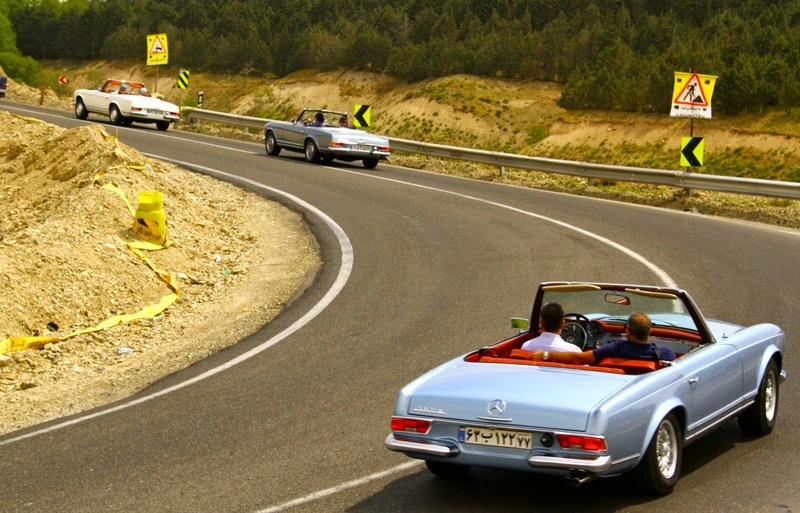 It competed last year in the 1000-KM Tehran Caspian Rally. Rare aluminum-bodied Citroen Mehari, above, was assembled in Iran in the 1960s-1970s. 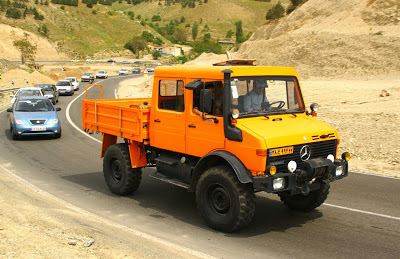 Another rare vehicle to be found in events like road rallies is the go-anywhere Mercedes-Benz Unimog, below. Buick’s fastback Riviera, above, is a rare sight in Iran and this one has been restored to high standards. There are a number of vintage Mercedes-Benz SLs in the Tehran Cafe Racers. Here are some enroute to the finish lunch at the Afshar restaurant, below.